Stonewall – the largest lesbian, gay and bisexual equality charity in Europe – and SNOG Frozen Yoghurt have launched a joint campaign to celebrate 25 years of the lesbian, gay and bisexual equality charity and look forward to the next 25 years. The #FirstSNOG campaign, an online interactive photo exhibition, has been launched to celebrate Stonewall’s 25 years of campaigning so that lesbian, gay and bisexual people are free to love and be loved. 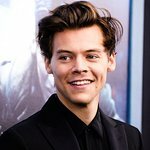 The exhibition – which already features famous supporters of Stonewall including Harry Styles (One Direction), Rita Ora, Sam Smith, Nick Grimshaw, Calvin Klein, Florence Welsh, Boy George, Katy B – can be viewed here. An exclusive SNOG app, designed by Carri Munden of Cassette Playa, will be available to download from tomorrow for the general public to voice their support as well as upload their own #FirstSNOG picture. The app will be available to download from the SNOG website. As well as raising awareness, SNOG is helping Stonewall to raise funds via their London based shops where a special Stonewall serving, featuring a selection of rainbow coloured fruits, will be available for the duration of the Stonewall 25 celebration. A donation of £3 can be made to Stonewall by texting ‘SNOG’ to 70300, with proceeds going towards the charity’s continued international work. Stonewall has also launched a special website to celebrate everything that has been achieved over the last 25 years.